We’ve already shared tons of our favorite hikes with you from all the different parts of California but there’s one park we’ve never talked about in spite of it being one of our favorites. It’s not a national park, not even a state park or preserve. It’s called Point Reyes National Seashore. Point Reyes peninsula is one of the highlights of California coast. Since California coast is breathtaking all along, it’s a bold statement. 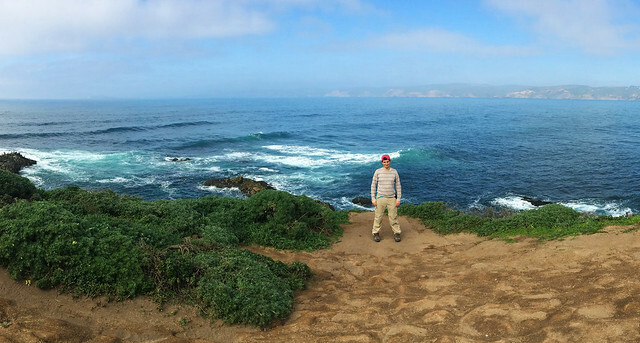 But we are quite confident in our two favorite coastal areas there: Big Sur and Point Reyes. 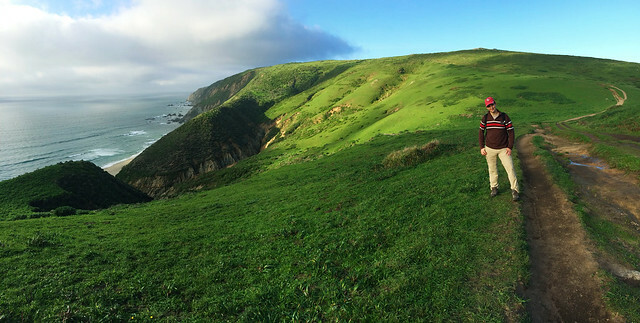 While Big Sur is the ideal place for roadtripping along the coastline, Point Reyes can be best explored on foot. 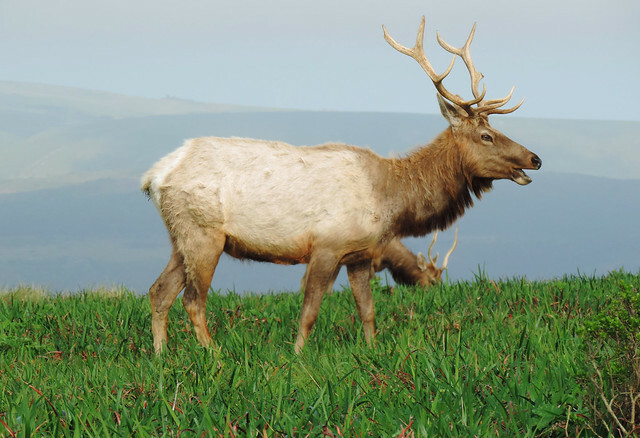 Point Reyes National Seashore is a nature preserve maintained by the US National Park Service. It was established in 1962 so that the whole peninsula can be protected from development. It’s an interesting fact that the peninsula is on a different tectonic plate than the rest of Marin County and almost all of the continental United States. We were amazed by the wild coastal landscape we found in this park! It includes headlands, uplands, estuaries and pristine beaches that are the cleanest in California. It even has a beach with a waterfall that flows directly into the ocean at high tide. Just like Big Sur’s McWay Falls but this waterfall is far lesser known. 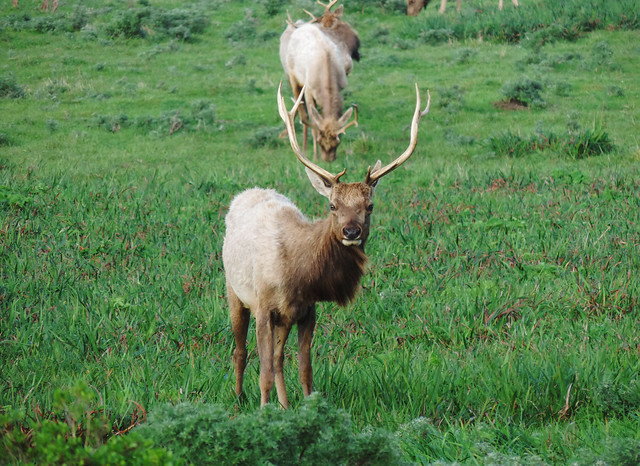 Then Point Reyes National Seashore is home to the largest population of tule elks in California. 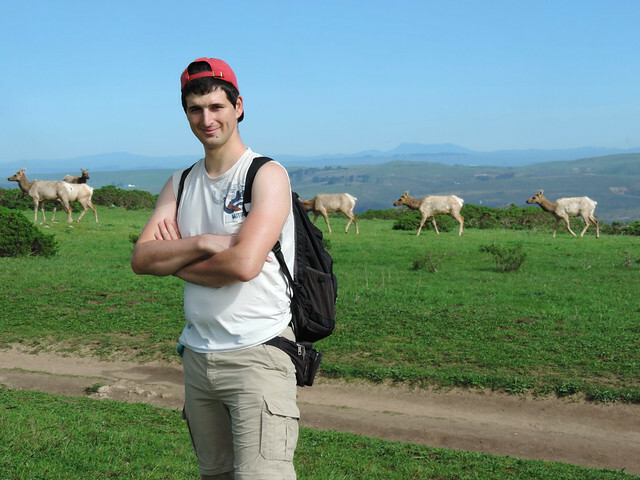 Tomales Point offers excellent lookouts to catch a glimpse of seals and seabirds. Point Reyes Lighthouse is a popular place for whale-watching in mid-January and mid-March when grey whales pass by close to the shores. 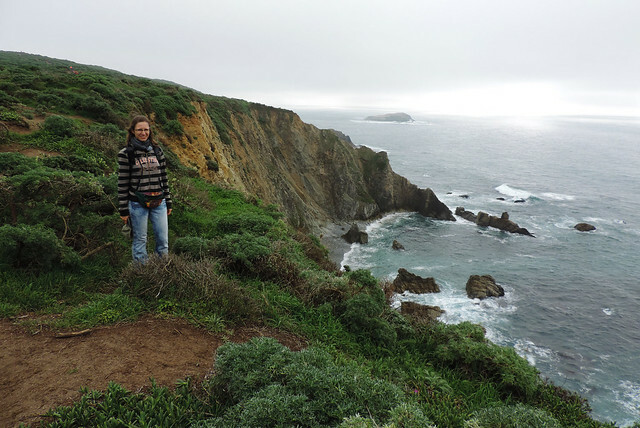 For us Tomales Point Trail is the most special at Point Reyes. 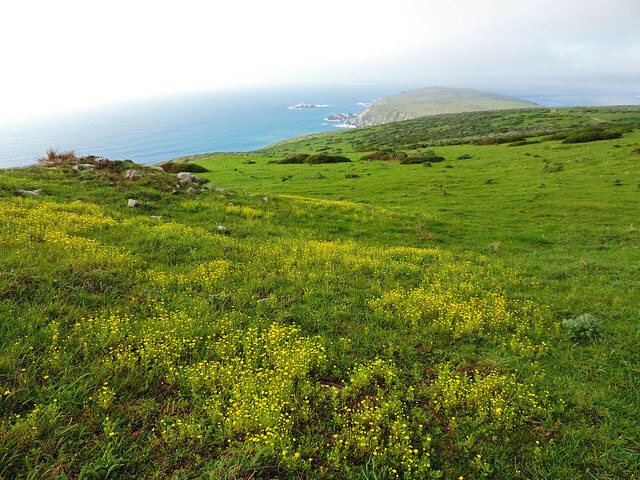 It leads along the ridge crest of a narrow peninsula in the northernmost area of the park and it rewards with breathtaking ocean vistas, views of Tomales Bay and the coastline and wonderful wildflowers in early spring. The last part of the trail is not maintained. It’s a sandy route ending at the very edge of Tomales Point that’s often foggy and windy. It was at the time of our visit, too, though we enjoyed a sunny hike until that point. But it’s not only the chill that makes Tomales Point special. It’s the ocean vistas and the countless birds and seals around the cliffs. We ended our day with watching the sunset on McClures Beach that’s just a short walk from the Tomales Point Trailhead. 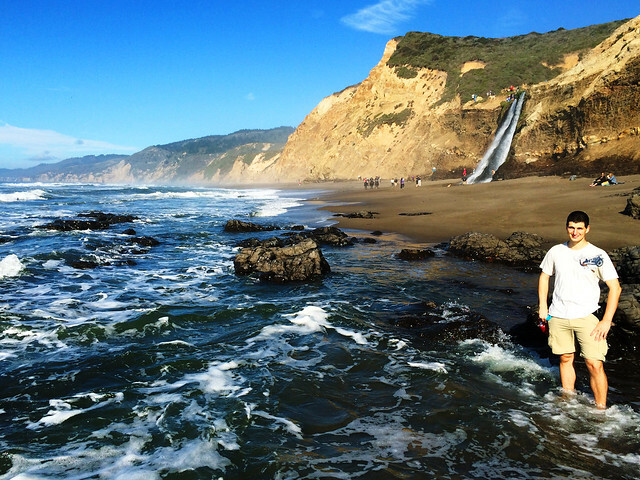 Alamere Falls is probably the most popular sight at Point Reyes. 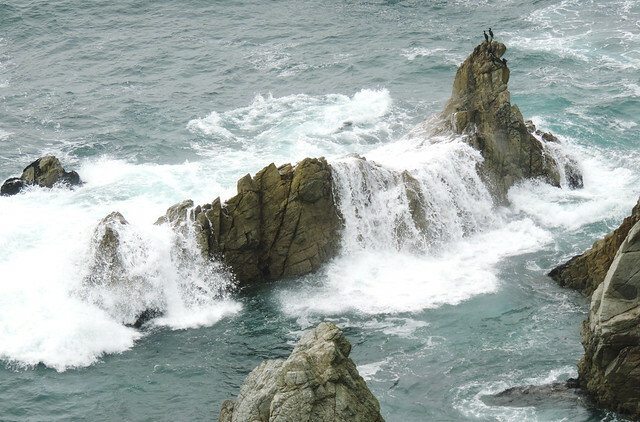 The water cascades over a 30 feet tall cliff onto Wildcat Beach – or into the ocean at high tide. But when the 2.5 miles long beach exists it’s a pretty sight, as well, and you can walk from Wildcat Campground to Alamere Falls on the beach. 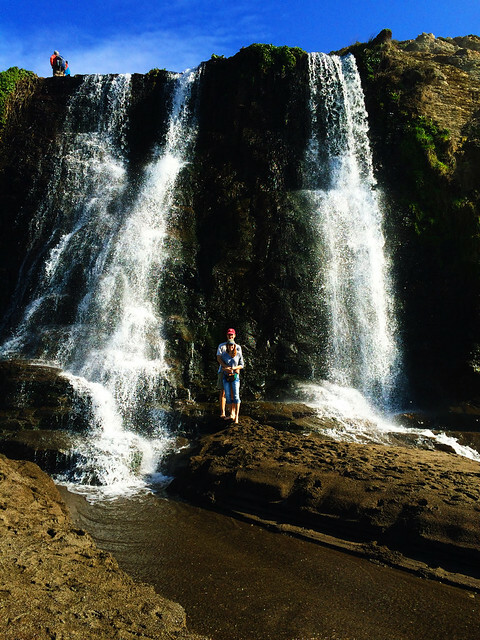 But you need to do some hiking to enjoy the beauty of Alamere Falls. Wildcat Campground can be accessed on several trails and from there it’s only a light walk to the waterfall. We started our hike at the Palomarin Trailhead and reached Alamere Falls in 1-2 hours. But walking and chilling out on Wildcat Beach easily made it a day hike. 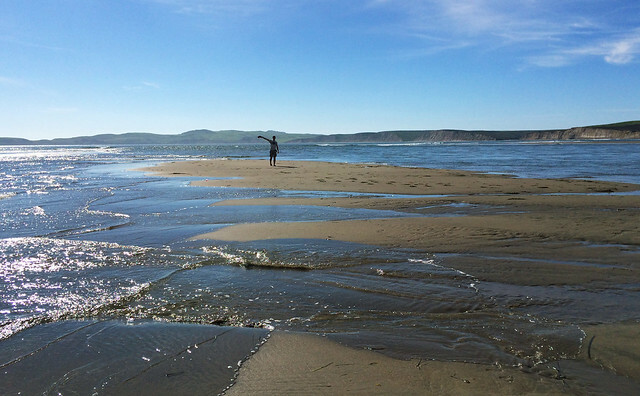 Limantour Beach is a long, narrow spit of sand between Drakes Bay and an estuary surrounded by salt marshes. Both harbor seals and seabirds like visiting this beach and no doubt, it’s a pretty one. It’s so long that it can’t really get crowded and it’s just a perfect spot for romantic walks. Though Limantour Beach can be accessed by car, we chose to hike there on Laguna Trail. We turned it into a loop hike by choosing Muddy Hollow Trail and Bayview Trail on the way back late afternoon. The coastal hikes of California are always pretty and they are suitable for any time of the year. Our favorite season was early spring (February-March) when everything is lush green and the meadows are covered by millions of wildflowers – including vivid orange California poppies. Though winter is said to be the rainiest season, it’s still sunny California we are talking about. We enjoyed long weeks of sunshine throughout the winter and the ocean coast was less windy and foggy than in the summer. Maybe you can have sunny, nice weather conditions for most part of winter, but that’s the season for huge storms, too. Collapses can happen after heavy storms. Please always check the official website of the park about current conditions and alerts before you visit. 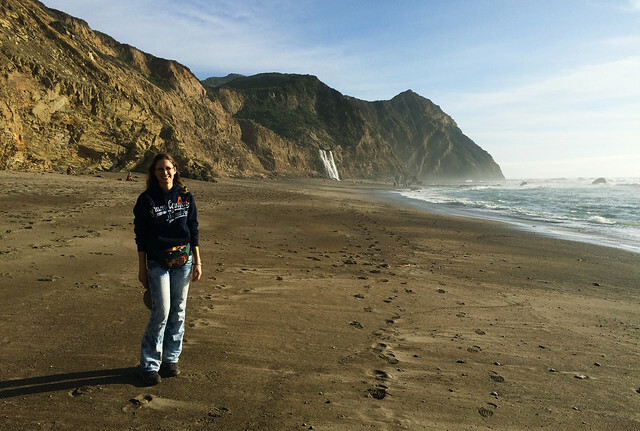 Have you been to Point Reyes National Seashore? What’s your favorite coastal hike in California?